In a recent poll, 28 percent of Texans said they believe noncitizens are “frequently” voting in Texas elections. 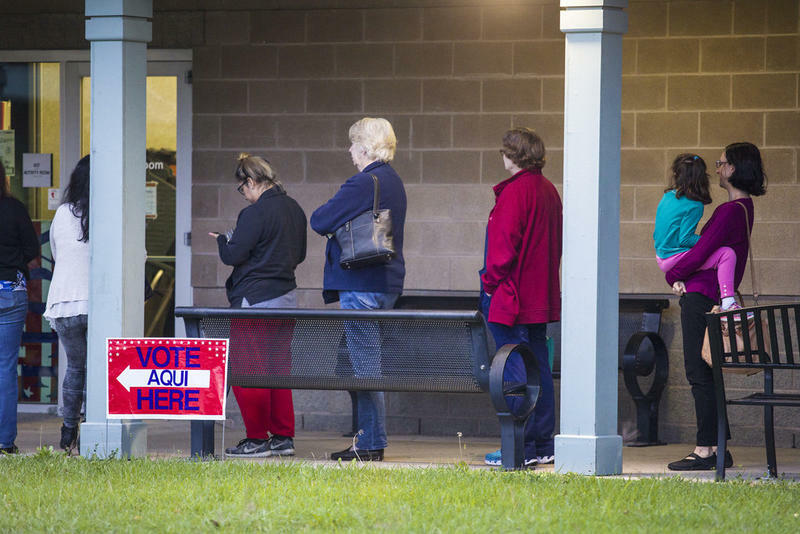 According to a poll released this month by the University of Texas and The Texas Tribune, 28 percent of Texans said they believe noncitizens are “frequently” voting in Texas elections. “I think the feeling that there are many people that are voting illegally or people are voting that shouldn’t be voting, comes from hearing about it a lot,” said Cinde Weatherby with the nonpartisan League of Women Voters of Texas. Voters are getting this message from all sides lately, she said. In January, Texas Secretary of State David Whitley announced his office had identified more than 90,000 people who were not citizens. But Weatherby said it was almost instantly clear something was wrong with the state’s list. “It only took a few hours for even the people who sent that out to recognize that was incorrect,” she said. The state eventually said thousands of names on the list weren’t supposed to be there. But before that information got out, officials like Texas Attorney General Ken Paxton – and even President Trump – had already tweeted out the false information. For example, shortly after a federal judge issued a ruling on Texas’ effort to purge voter rolls and said there was “no widespread voter fraud,” Trump doubled down. “Look at what’s happened in Texas with all of those votes that they recently found were not exactly properly done,” he said. That’s all it takes for something unsubstantiated to become something a lot of people firmly believe, Weatherby said. Voting experts say warnings about large-scale voter fraud are inaccurate. “The consistent and repeated results of research is that fraud happens occasionally, but it is rare and confined and generally not systematic,” said Myrna Perez, deputy director of the Brennan Center’s Democracy Program. To register to vote, you must check a box on the form that says you are a citizen; lying about that is a crime. Perez said that’s something a noncitizen usually would not risk. It is possible for someone to say they are a citizen when they are not – and register to vote. But they’d have to provide information from a driver’s license or passport, which is a barrier for people who are undocumented. Green card holders can get a driver’s license or state ID, making it slightly easier to register. But Perez said the few times that’s happened, it’s usually been a mistake. “They don’t understand that they are not eligible because they have either been here for a really long time and someone tried to register them to vote and misinformed them or they accidentally got registered,” she said. Part of the reason this could happen is because no one is checking someone’s citizenship between the time that person registers and the time they get added to the voter rolls. According to the Texas Secretary of State’s office, there’s not really a way for local officials or the state to verify citizenship before someone is added to the rolls. Local officials also don’t have access to a master list of citizens they could check against. Lawmakers are considering legislation that would require people to show a proof of citizenship when they register, but Weatherby said that could be a hardship for eligible voters. Weatherby said creating rules that make it harder for eligible voters to vote just to prevent something that rarely happens is not a good idea. “The facts of the matter is that these are extremely small numbers, and it would be unseemly, unfair, to ask for every single person to provide their proof of citizenship,” she said. But polling shows facts are not breaking through partisan divides. Jim Henson, head of the Texas Politics Project at UT Austin, co-directed last week’s poll. Henson said he wasn’t surprised to see the issue come down to political leanings. “The election system and the rules of elections are always a political matter of dispute,” he said.